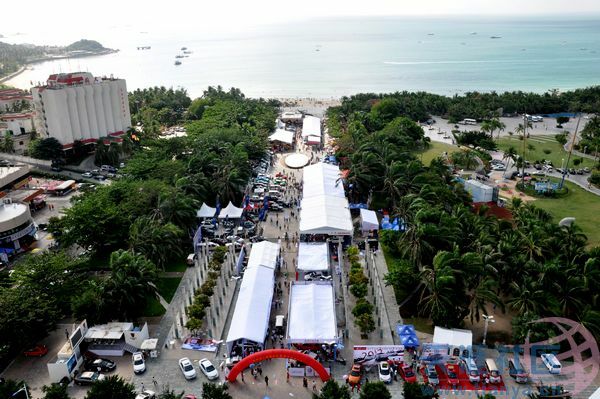 The annual 4th Sanya International Auto Show kicked off on December 13 at Dadonghai Square. This year, more than 20 carmakers from both home and abroad showcased their latest cars at the grand event which is held every year in the square. Among the vast range of exhibits, a total of 121 cars were sold on the first day, with recorded sales totaling 20.95 million yuan. Last year the car sales in the annual show totaled 92.58 million yuan, retaining the top position for the third consecutive year. To stand out in the increasingly crowded marketplace and attract more buyers, carmakers are bringing their best and latest products as well as offering preferential discounts at the auto show.